Currently I'm aware of two 63 foot crash boats for sale or donation. The boat for donation is on the East Coast and is in need of extensive restoration. The boat is free but restoring it will be expensive and time consuming. P-520, the last 85 ft. crash boat in its original military configuration is available to an accredited museum with the ability to cover delivery costs and future maintenence. . To view photos of the boat, click on the PHOTO & MISSIONS button to the left, then click on the 85 ft. Album and scroll down toward the bottom. To see dditional photos of P-520 CLICK HERE. For contact information on any of these boats, use the "Contact Us" button on the left. 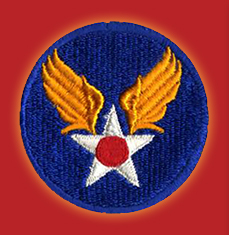 This is the website dedicated to the men and boats of the U. S. Army Air Force Emergency Rescue Boat Service and the U. S. Air Force Crash Boat Service, especially those who served in World War II and Korea. Whether you call them crash boats, AVRs, ASRs, 63' air-sea rescue boats, or your favoriite is the 85' rescue boat, you're in the right place. While there is a lot of information on crash boats available on the web, it is far from complete, sources conflict, and it is widely dispersed. The history of the service of the boats cannot be told without telling of the missions and memories of the men who crewed them. You will find many of their memories collected here. While the focus of this site is on Army Air Force and U.S. Air Force air-sea rescue boats, relevant information from U.S. Navy sources is being added, especially information on their 63' boats. There are almost 100 of the 63' Navy boats listed on the "Bulders, Boats, & Dates" pages. I started collecting data because I wanted just a bit more information on my father's service in the Army Air Forces during World War II. When my son was growing up he once said, "Don't ask Dad what time it is; he'll tell you how to build a clock." After looking over this site, you will understand what he meant. If you are able to loan any of the above, or other relevant material, please use the "CONTACT US" button to the left to extend your offer, or to make corrections to this site. As new information or features are added to this site you will see notice of it here. Please check back from time to time to check for additional information and photos. While the AAF/USAF Crash Boat Association is still active, they no longer maintain a separate website but have chosen to sponsor this site. Due to the extensive contributions from its members of photos, manuals, information, and mission reports, this site has become their semi-official home on the web. In spite of the many hardships, for many of the men who served on these small boats, it was one of the most outstanding and rewarding periods of their lives. By now, most have passed from this life. I hope this site will keep their memory alive for at least a few years. Please feel free to copy any material on this website for your personal, non-commercial use.